The journey by minivan takes 4 hours. 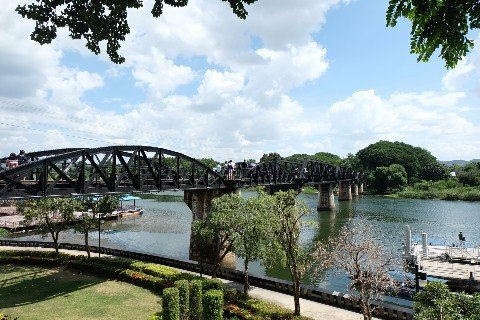 Travel by train is slower and you need to change trains to connect with twice daily train services to Kanchanaburi. Depending on your connection times, the journey by train from Hua Hin to Kanchanaburi takes at least 6 hours 10 minutes and probably longer. These minivan services are operated by the J.K.P Travel Company. Minivans depart from the Hua Hin 51 Alley Bus Station in Hua Hin. The online ticket price is 269 THB. There are 10 trains a day from Hua Hin to Bangkok, all of which stop at Sala Ya before reaching Bangkok. From Sala Ya there are two trains per day to Kanchanaburi. The connecting trains listed below from Hua to Sala Ya arrive at the best times to allow you to catch the connecting train to Kanchanaburi from Sala Ya. There are later trains, but the arrival times allow little margin for delays, which are common on the Thai railway network. Train tickets from Hua Hin to Sala Ya from cost 89 THB to 954 THB if purchased at the train station. Ticket prices vary depending on the train service you take and the type of seat you book. Train tickets from Sala Ya to Kanchanaburi are free for Thai Citizens and 100 THB for everyone else. Use the Search Box below to book minivan tickets for direct services from Hua Hin to Kanchanburi. Unfortunately, it is not currently possible to book either the train service from Hua Hin to Sala Ya or from Sala Ya to Kanchanaburi through Thailand Life. You can, however, purchase the ticket from Hua Hin to Sala Ya in advance at a train station in Thailand, but you can only purchase tickets from Sala Ya to Kanchanaburi on the day of travel at Sala Ya train station itself. Minivan services from Hua Hin to Kanchanaburi depart from the bus station on Alley 51. Alley 51 (or ‘Soi 51’ as it is known in Thai) is off the Phet Kasem Road. The Phet Kasem Road is the main road running through Hua Hin. Alley 51 Bus Station is 1.2 km to the North of Hua Hin’s famous Night Market on a side road off the Phet Kasem Road. Hua Hin Train Station is fairly close to the centre of Hua Hin. If you are staying near to the famous Night Market then you can probably walk from your hotel to the train station. 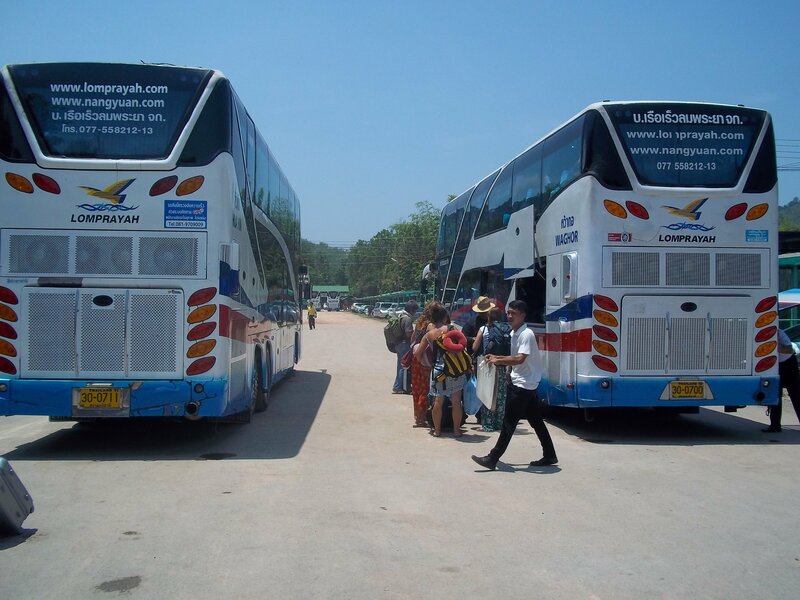 Minivans from Hua Hin to Kanchanaburi terminate at Kanchanaburi Bus Station. The bus station is located on the U-Thong Road, which is street leading off the Sangchuto Road. 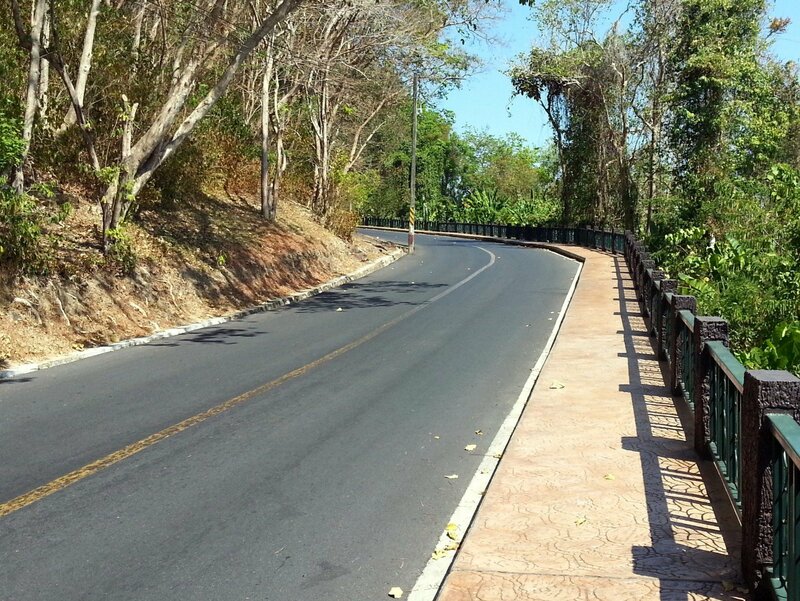 The Sangchuto Road is the major road running through Kanchanaburi past Kanchanaburi Train Station. 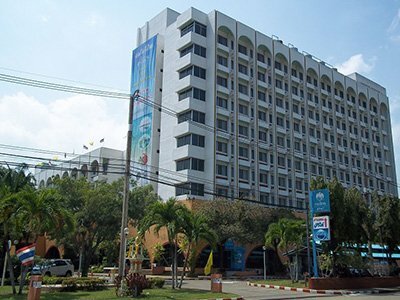 It is slightly too far to walk from Kanchanaburi Bus Station to the areas of Kanchanaburi of most interest to visitors.